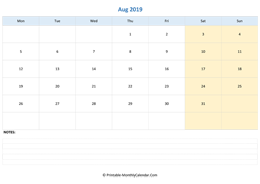 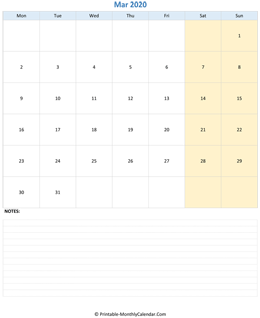 Printable Monthly Calendar - Free download and print 12 months calendar template. 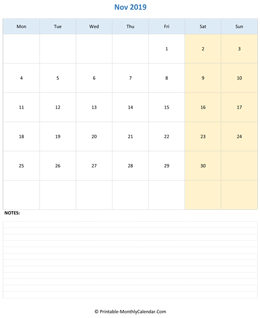 All calendars can be editable and available in many styles such as blank template, included holidays or notes space. 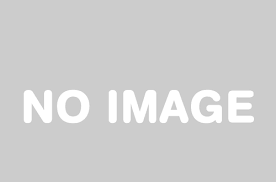 This style produces a single page mothly calendar in Portrait layout. Below the main calendar, a notes space is displayed. Select the month which you need then download, edit or add any special information before print. As well as monthly calendar, you can also download yearly calendar with a variety of styles. Select any style which you need then download and print.